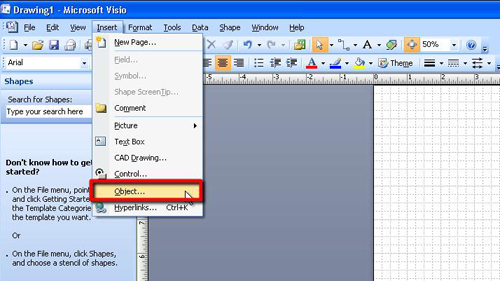 In this tutorial you are going to learn how to import word into visiowhich can be a great time saver. 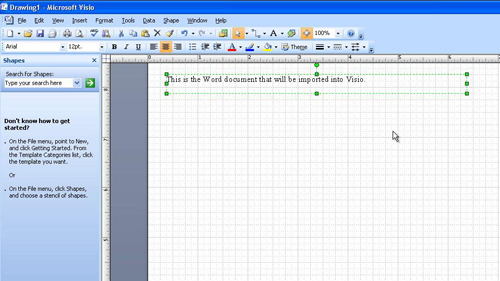 Start Visio and open the document which you want to import the Word document into. Here we are using a blank document. 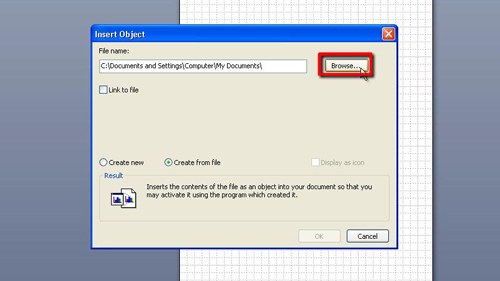 In the toolbar click “Insert” then “Object”. This will open the “Insert Object” window. In this window, click the “Create from file” option and a “Browse…” button will appear in the top of the window, click it. In the “Browse” window locate the Word document that you want to import. Click “Open” and then “OK”. This is how to import word into visio and you will see the information from the Word document appear in your Visio workspace. You can use the mouse to move this data to anywhere in the workspace.